No Use for a Name has been making Punk Rock Music for over 20 years. They have toured the world, released 9 studio albums, and plan on playing music until they die. 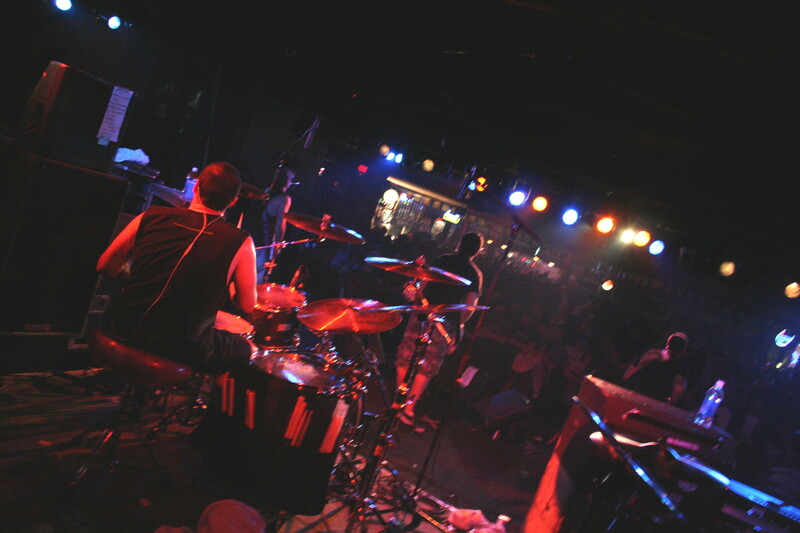 Enoch Magazine had the chance to interview and film their live show in Kansas City when they opened up for Nofx at the Beaumont. Enoch Magazine) Who was an influential person in your life that exposed you music or playing music? Tony Sly: The skate scene in San Jose growing up did. Steve Caballero and the Faction and all those bands. That’s all I wanted to do when I was like 14 years old. Then in the 90’s , Fat Mike and Brett Gurewitz were big influences on my song writing. Enoch Magazine) Do you collect punk or vinyl records? If you do what is your favorite vinyl record? Tony Sly:I used to. I used to go to nerdy conventions and stuff. All the new stuff on vinyl just doesn’t seem cool to me. Like I love Rise Against for example, but having their record on vinyl? Not that rad. My Favorite vinyl record is my “cough/cool” original pressing 7 inch by the Misfits from 1977. Does anyone want to buy it for like $5000??? My space me. Enoch Magazine) Tell us about band practice? Is it at your house? Tony Sly: Practice makes us worse sometimes. We are at our best, slightly drunk, in front of people with minimal practice. We try to stay on the road so that we get to practice at sound check. We practice anywhere. Enoch Magazine) When is it essential to have practice and how does a typical practice go. Tony Sly: It is only really necessary when recording a new record. When not, It usually starts with 2 hours of setting up and then about ten minutes of actual playing before we realize we have played ‘on the outiside” like 2000 times . A cooler of beer is essential. Enoch Magazine) You’ve been married over 10 years. I’m getting married this summer. What is something you wish someone would have told you before you got married? Tony Sly: I don’t know. It must be a good question because I’m stumped. I would have drank more before the ceremony. I was nervous. Enoch Magazine) Does your family and kids ever get to go to work with you? Tony Sly: I had my 1 1/2 year old daughter on the bus for 2 weeks of the 2005 warped tour. It was rad because the guys in our crew were all into babysitting her so me and my wife could take off and eat or whatever. We had a crib set up in the back lounge. I felt like a carnival family at the time, it was weird. Enoch Magazine) Does having a family cause you to think about deeper issues in life? Tony Sly: Totally. It has changed my lyrics a lot. And not in a sappy way either but in a way where you get all protective and worried about the f%#*d up world you have to raise them in, so a lot of songs on the new record have sort of a theme about all the greedy, sh*%$y people in the world. It makes me think that my lyrics now have to have solutions to them and not just aimless bitching about something with no answer. Our world is falling apart and unfortunately it has taken children for me to realize that.